1. Belly Bandit‘s tummy wraps & Mother Tucker compression clothing. This is not shape-wear for vanity — this is for comfort! Medical professionals and doulas recommend postpartum wraps to fight water retention and give much-needed support. I wore my tummy wrap for a full 40 days (and nights) after my second baby and it made me feel better physically and mentally — I felt more capable to care for baby because my insides felt more secure as I didn’t feel so ‘floppy’ and uncomfortable on the inside. The Mother Tucker leggings and capris also give 360 degree support from under the bra-line and all the way down the leg (which also helps with water retention). 2. Water Wipes. Babies need wipes… but so do we! I hated washing my face as a new mom — the last thing I wanted to do was waste potential sleeping time on skincare. These new wipes would’ve solved my issue of wanting a clean face but not having the energy to get it done. They only contain 2 ingredients — 99.9% water, .01% fruit extract. Which means, no chemicals to irritate anybody (us or our babies’ bums). Full disclosure (and great parenting hack! ): I also use these to wipe down the dust on my car’s dashboard. 4. Swaddling blankets. We all want more sleep and swaddlers can help US. Babies are more likely to stay content (and sleep more!) if they’re swaddled — it’s scientific fact. 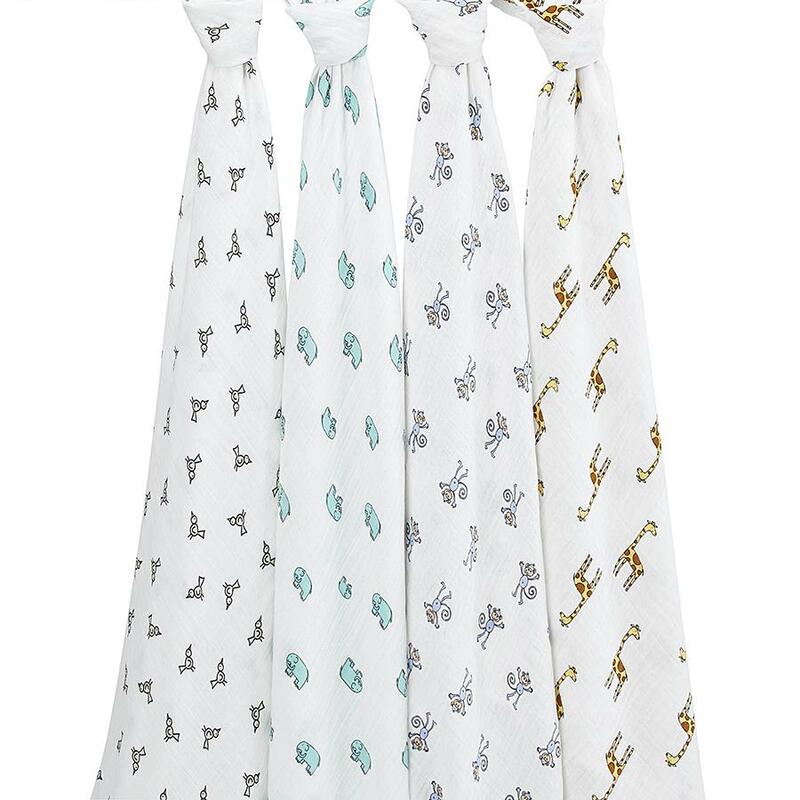 I love traditional aden+anais blankets (they’ve got some chic designs) and I also found them to be surprisingly-versatile — I used to wrap my hair up in them after a shower. They’re also good for using as a lightweight nursing cover or makeshift stroller canopy for extra shade. Zen Swaddle/Sack by Nested Bean is interesting too — it’s a sack-type design with gently-weighted pads on the chest and sides that mimic a parent’s touch for those babies who have trouble sleeping unless someone’s hand is physically rested on their chest. More comfort and sleep baby means more capability, happiness and control (and sleep!) for everyone. 5. Austlen Baby Co. Entourage stroller. I wish I had this in my newborn-plus-toddler days of pushing my girls in their stroller to the market (to get fresh air and exercise), only to not be able to properly grocery shop because my stroller didn’t have enough storage! 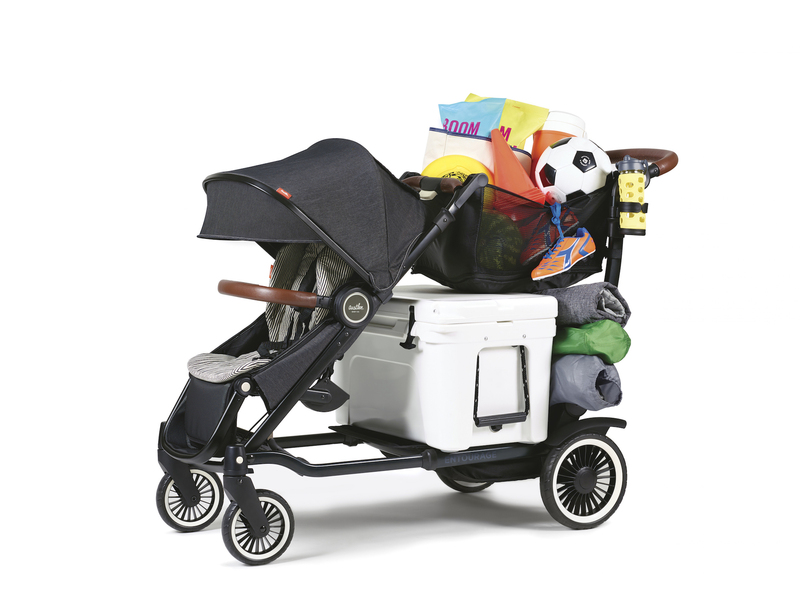 The Entourage is easy to handle — with a one-handed expandable frame, 30 configurations and a 3-stage expansion to hold two kids plus a ton of cargo (up to a total of 150lbs — biggest weight accommodation on market). The seats recline and you can remove and wash the fabrics. Having this would’ve worked perfectly with my new-mom lifestyle (walking to store to shop with babies) and would’ve made me feel much less stressed and more organized back then. For more recommendations, stories about tough new-mom choices, lifestyle tips and celebrity lessons and blunders during the first year of motherhood, your gonna want to pick up a copy of The FAB Mom’s Guide: How to Get Over the Bump & Bounce Back Fast After Baby, available on Amazon and Barnes & Noble. Jill Simonian is the Parenting Lifestyle Contributor for CBS Los Angeles news and author of the new, confidence-building book for first-time pregnant moms, The FAB Mom’s Guide: How to Get Over the Bump & Bounce Back Fast After Baby. She additionally contributes to TODAY Show’s Parenting Team, Mom.me and various digital and television media. Connect with Jill at TheFABMom.com, Twitter, Instagram and Facebook. I would say that MADE OF organic wipes are a better choice than water wipes. MADE OF products are amazing, affordable, and certified organic and vegan. We use MADE OF brand baby products and love them! The entire brand is all natural and certified organic.